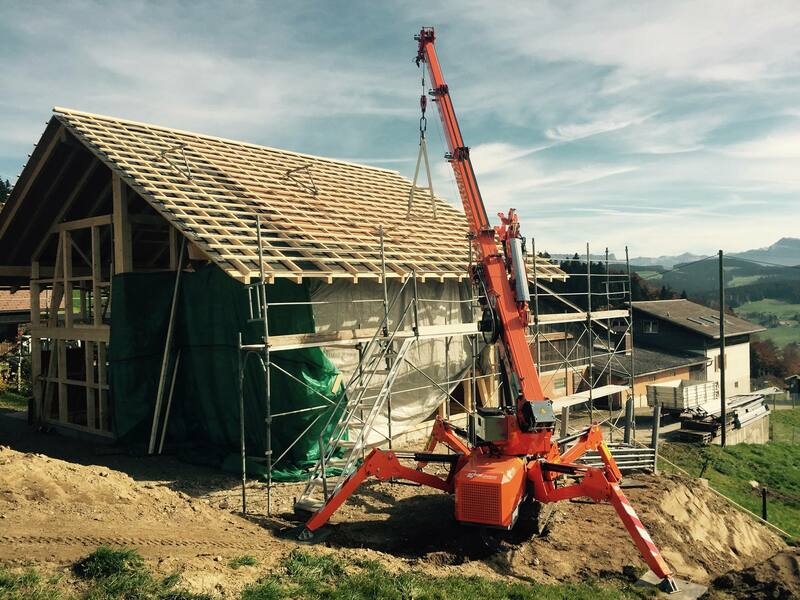 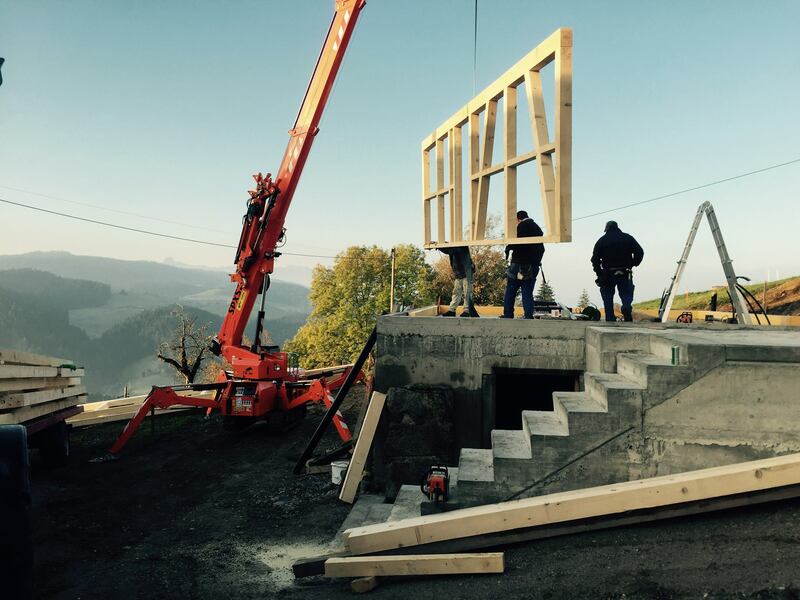 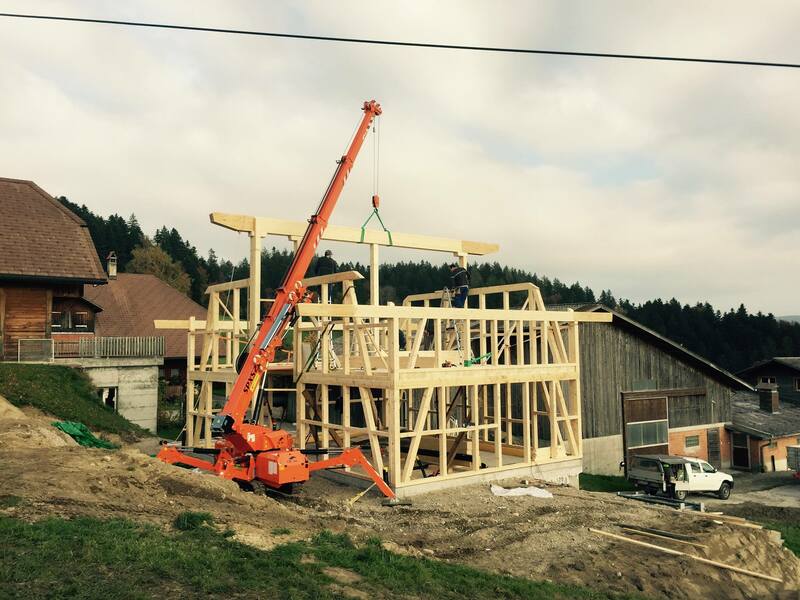 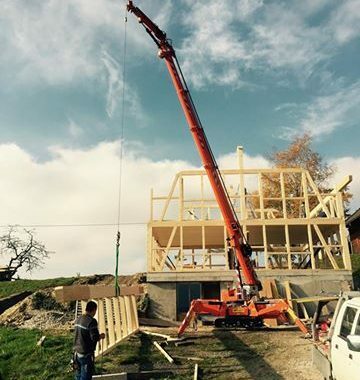 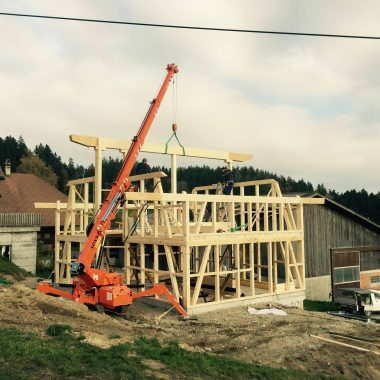 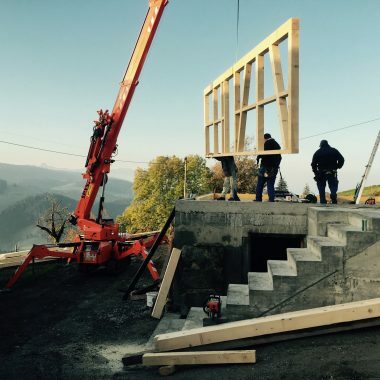 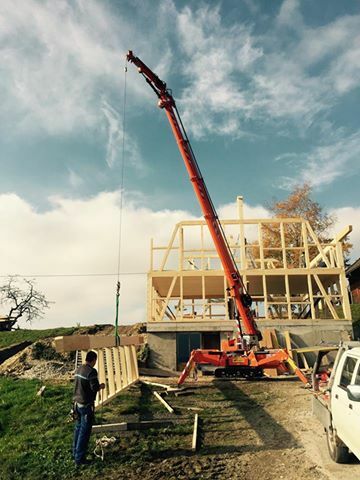 The SPX527 is used to construct a prefabricated wooden house in Switzerland. 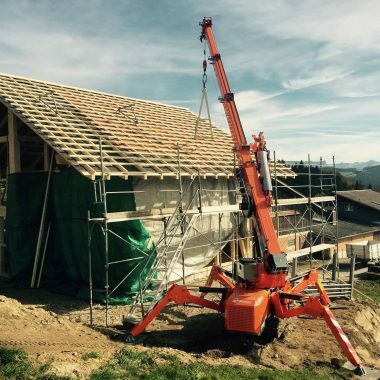 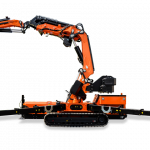 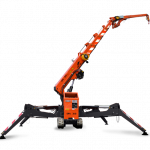 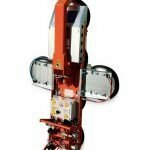 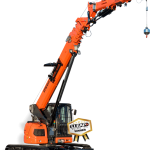 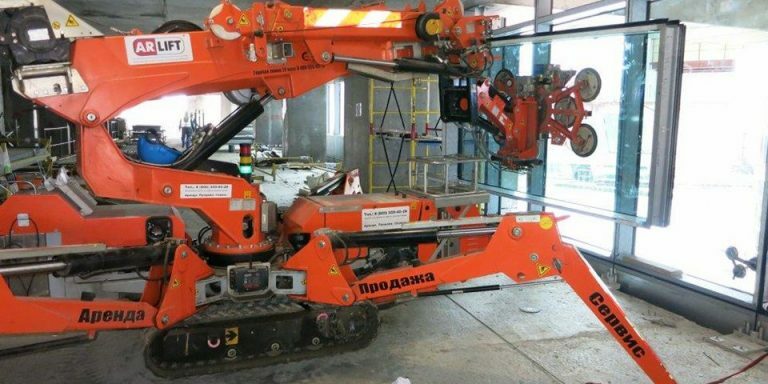 The mini-crane offers a great advantage in terms of efficiency because, once positioned on site, it no longer has to be moved, unlike a crane truck. 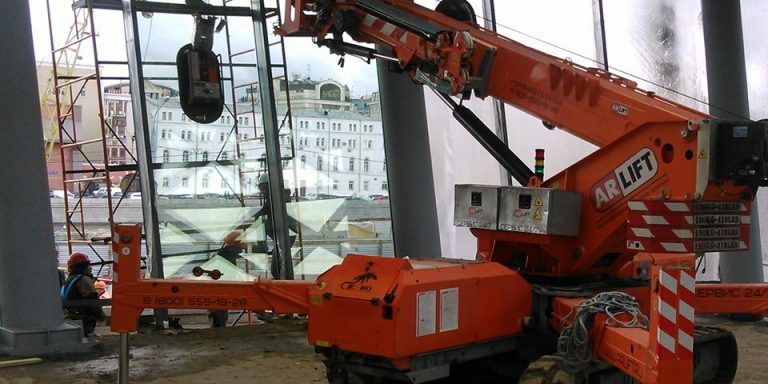 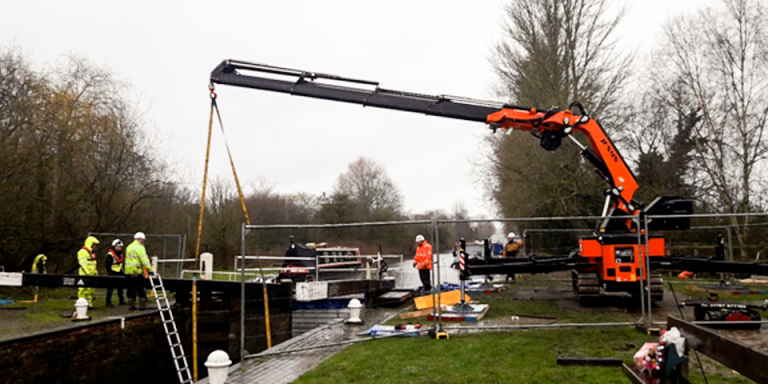 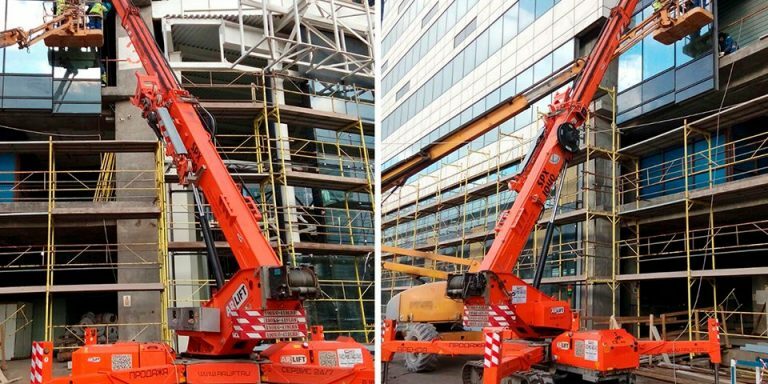 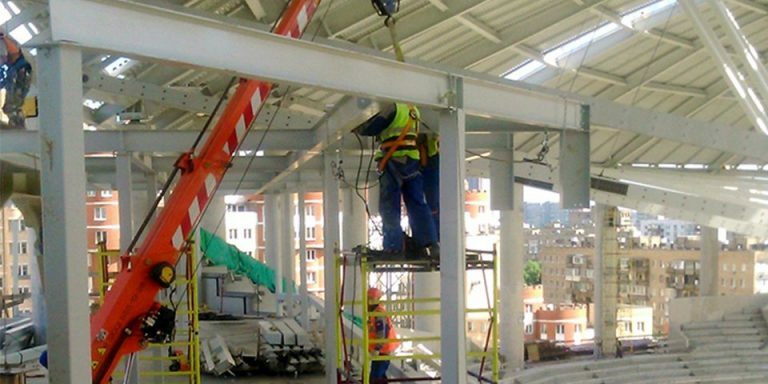 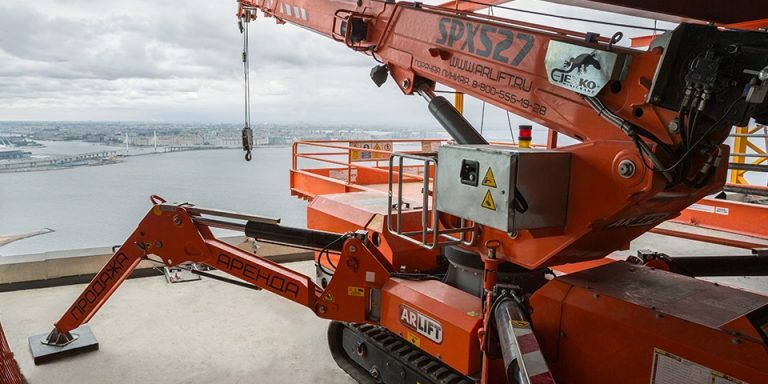 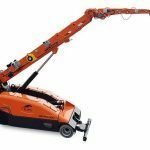 As shown in the photos, the hydraulic jib of this crane allows easily lifting and moving loads.